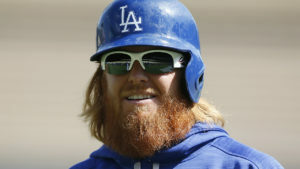 Justin Turner: All-Star Snub or Accurate? July 3, 2017 Mike MLB Comments Off on Justin Turner: All-Star Snub or Accurate? Kenley Jansen is not happy with Los Angeles Dodgers fans for failing to vote Justin Turner to the All-Star game, but he still has a chance with the Final Five voting for the National League. Is it really Dodgers’ fans fault, or did fans in general get it right? Player A is Justin Turner and Player B is Nolan Arenado, who was voted in as the starter, and Player C is Jake Lamb, who made the team as a reserve. Advanced stat-heads and the saber-metrics crowd will be quick to point out that Turner had the highest WAR and therefore is the most valuable and should be the starter. I get that, his numbers are great – particularly the average and OPS. But the average baseball fan looks at the traditional numbers and when comparing those, it’s no contest which two I’d rather have right now. Arenado and Lamb have played more games than Turner and as a result have better counting stats – HRs, RBIs, and Runs scored. When it comes down to who’s producing more these stats are the easiest to look at quickly and make a determination. When you checkout MLB.com’s League Leaders, you see Lamb at #2 and Arenado at #3 in RBIs for the entire MLB. Turner – nowhere to be found since he doesn’t have enough at bats to qualify for the batting title yet. I’d have to say it wasn’t Dodgers fans fault that Turner didn’t get voted in, it was the season’s circumstances and because Turner played 25% less games he shouldn’t have been voted in – his numbers just aren’t there right now.